​18 August 2019. Hosted by the Queensland Show Choir and with a cast of 500 voices and a stage band, this event is sure to be another highlight of the 2019 Brisbane music calendar. The concert will be a reflection of the diversity in choral singing throughout Brisbane. This will be a musically rewarding and memorable event for all involved. I had chills down my spine in the first number, and cried through the last number. Congratulations! Another fabulous Brisbane Sings! There really is nothing like singing in a choir....so joyous. Such an amazing experience to sing in this fabulous event! OMG what an amazing concert. Thank you everyone for such an incredible experience. Brisbane Sings 2018 is definitely one of the most magical days I've ever had. I can barely walk today and still have big hair but the smile on my face will not be fading anytime soon. Brisbane Sings was a fantastic experience!! Choirs will rehearse separately then combine for two rehearsals prior to the performance and a walk through rehearsal at the venue. They will be required to rehearse repertoire for a number of combined pieces during their own rehearsal periods. Some choirs will be invited to perform one piece on their own, to be selected by the producers from suggestions by the group's Musical Director. ​Participating choirs will need to pay a participation fee of $25 per chorister. This covers the Brisbane Sings T-shirt (to be worn during the concert), a contribution to our production costs and a donation to our charity partner, Speld Qld. In the previous 7 years, we have had an amazing list of participating choirs. It is also worth having a look at our previous programs. We are seeking expressions of interest from choirs who would like to involved in 2019.  Please fill in your EOI here: Brisbane Sings 2019 EOI. If you would like to be part of this amazing event, please complete the EOI as soon as you can. If you are involved with more than one choir, we would be happy to receive multiple applications. Applications will be considered by the artistic team to ensure balance of voices across the mass choir.